This runner is a beautiful mocha color with a tint of pink. 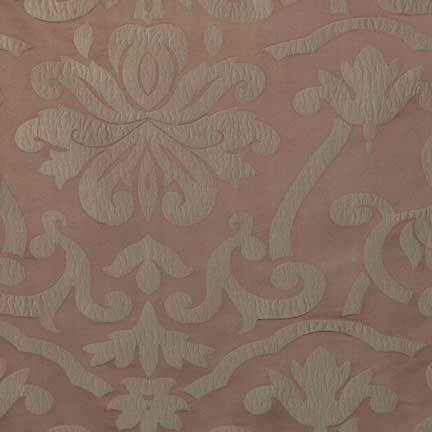 It has a cashmere colored damask pattern. Measures 13" x 108". We also carry a matching Woodrose napkin.